Rebroadcast of John Fetterman who is now the Lieutenant Governor-Elect of Pennsylvania. If you are trying to break into the media field or a media geek like me, you must check out this podcast. Also join the conversation by tweeting @MediaOnRadio. 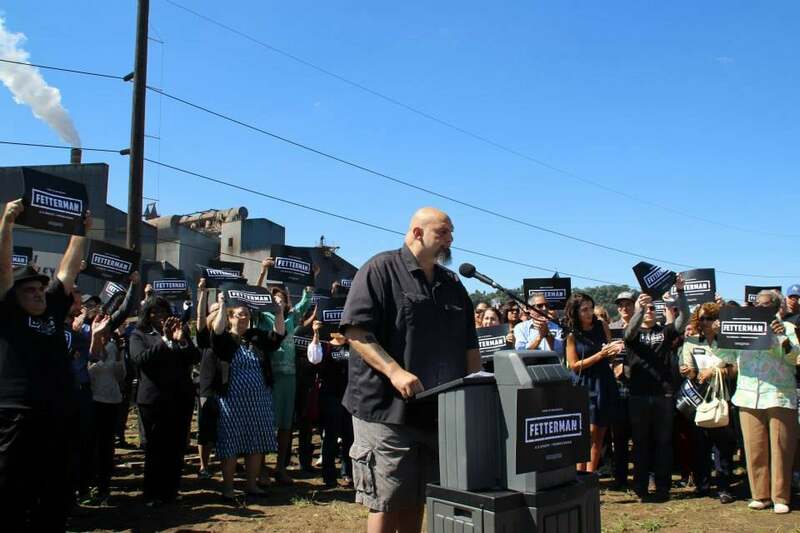 With over a decade of experience as mayor of Braddock, PA, John Fetterman (@JohnFetterman) has announced he is running for US Senate. He came on the podcast to talk about the campaign trail, his work as mayor, and how the media can impact politics. Tod Plotkin, founder and principal of Greenbuzz Agency, shares his professional narrative starting in L.A. working on movies sets after college. He moves back to the D.C. area and develops skills in producing, which leads him to eventually launch a successful and sustainable video business. Tune in to learn more! 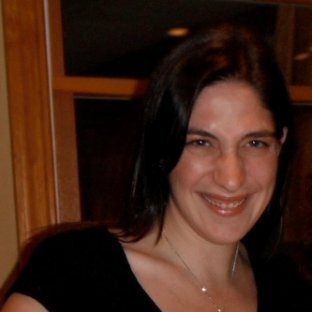 Sue O'Hora works at Henninger Media Services as the Director of Marketing and Senior Producer and is responsible for writing and producing original projects. She joins us to talk about the producing and creative development side of video. This special episode of Media on the Radio follows my Dad and his work helping local refugees in Pittsburgh. We meet a Syrian family from Aleppo who beat the odds and made it to America, but they now face several other challenges. Some of the challenges include learning English, navigating a new city, and finding stable work. My dad decided to get involved after the Trump Administration limited the number of refugees accepted in the US. Of the 65 million refugees in the world, Trump has set a limit of 45,000 refugees for 2018, which is half the number Obama accepted in 2016. 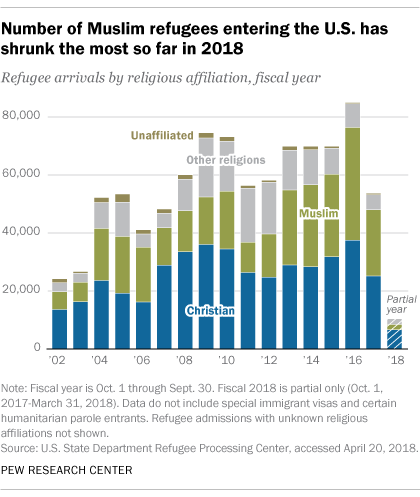 Though, the real story is that the US is on track to accept only about 20,000 refugees by the end of the year, and of that number, a far smaller portion of Muslims because of the travel ban. For example, according to Reuters, only 48 individual Iraqis refugees have been accepted this year. My dad was reluctant to let me do this story, but was convinced by the idea that it may help raise awareness and get others involved. Bill talks about his evolution as a filmmaker and how he developed skills to serve both his creative pursuits and his professional career. 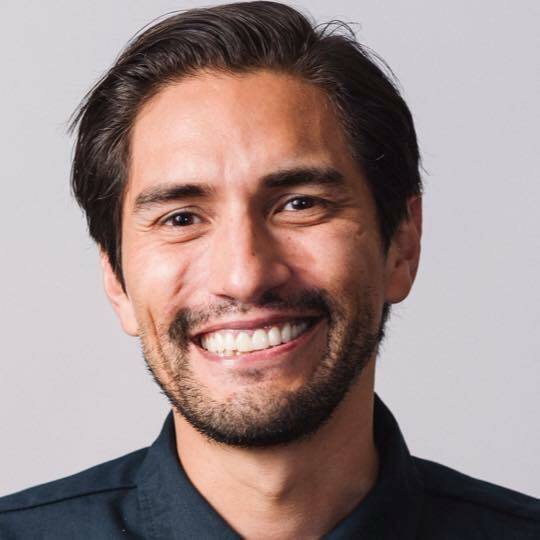 He also shares resources for local DC creatives to get involved including the 48hour Film Festival, Women in Film and Video (WIFV), and the Television, Internet, and Video association (TIVA) of which he is the president. In this episode, Jonathan Goldfuss shares his experience of working on the west coast during the dot-com boom. We track his career working on brands including hotwire.com, AOL, and ThinkFoodGroup. What he has learned from many years of experience has lead him to start a new service, (https://coproductions.com/) which is a matching marketplace to enable freelance teams and clients to find each other. As he says, Coproductions is trying to make freelaning more viable by making freelance teams more 'agency-like'. Tune in to learn more! Brian has taken a long journey developing his career. Before settling down, he worked various temporary jobs and traveled the world. For the last 5-7 years he has found success and satisfaction in the corporate world, but he recently made a change. He started a side venture called Wulff Writing. In this episode he shares the story of how and why he now calls himself a writer. Kevin Sampson of Picture Lock & DCBFF and I share our struggles, perspectives, and excitement as we grow as entrepreneurs and develop our business ventures. Enjoy this uncut and unfiltered conversation! 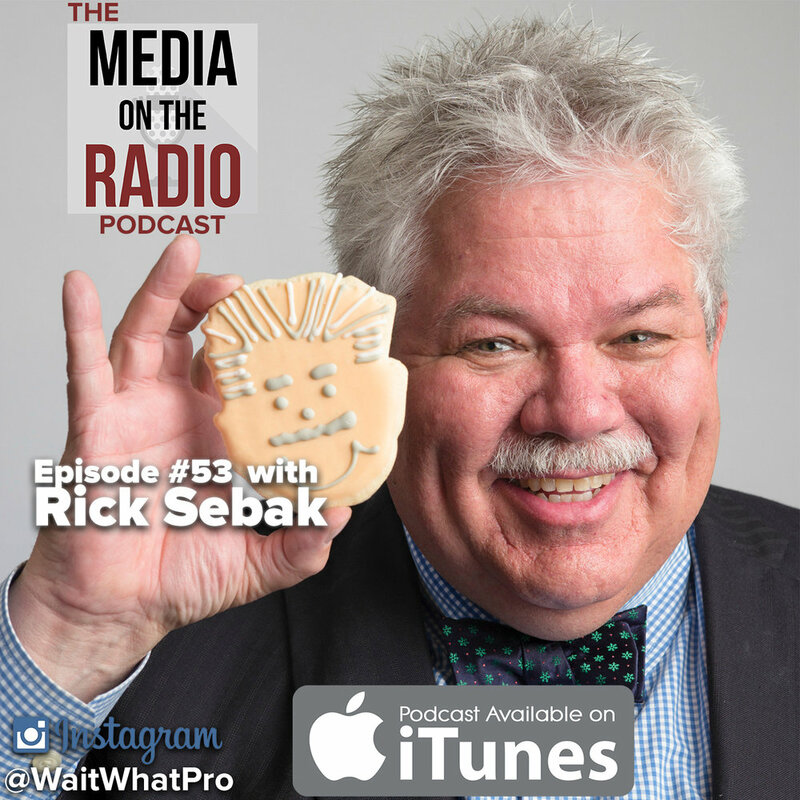 With special co-host Andrew Limberg, we chat with Rick Sebak, a documentarian who has produced countless films for PBS. During the conversation we learn that Andrew was a Rick Sebak fanboy starting back in middle school when he first sent him fan mail. If you have watched PBS in the last 20 years, you have probably seen one of Ricks films. Tune in to find out! 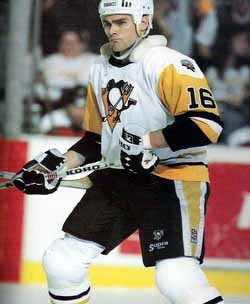 With special co-host Andy Limberg, we talk to Jay Caufield about his two Stanley Cup Championships, his transition from player to hockey analyst, and about his stint as a Hollywood actor sharing the screen with Jean-Claude Van Damme. CHECK IT OUT! 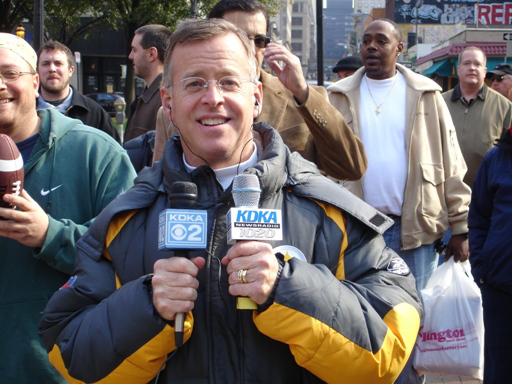 Larry Richert is the voice of Pittsburgh. He has had a long career in broadcast journalism, working in both radio and television. In this episode he talks about how he got his start, plus his account of the changing industry of local media over the last 30 years. CHECK IT OUT! SUBSCRIBE TO THE PODCAST ON ITUNES: HTTPS://ITUN.ES/I6Y94LT MEDIA ON THE RADIO ON THE RADIO! TUNE IN EVERY THURSDAY AT 7PM TO WERA.FM & LISTEN LIVE TO THE WORLDWIDE BROADCAST. TUNE YOUR RADIO DIAL TO WERA 96.7 FM! EVERY THURSDAY AT 7PM! Todd Cavalier is an artist turned designer. He chats about what that transition was like for him and also about the work he does at Informatics Studio! Tune in! Want to work in social??? 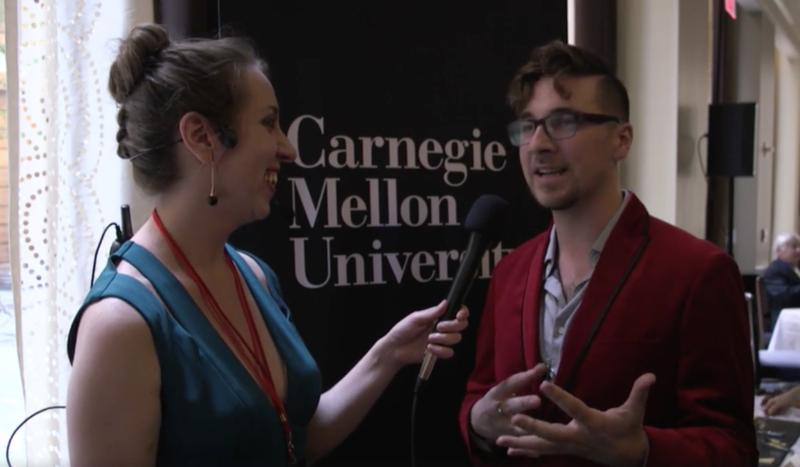 Take a tip from Carnegie Mellon University's Social Media Manager: Laura Kelly. She provides great insight for anyone wanting to level up their social media posting as well as advice for those seeking a career in this ever-developing field. John McNulty is into tech and music... so naturally he created a band of rapping robots! Listen to the episode and check out the Robotmouth.com to learn more. Subscribe to the PODCAST on iTunes: https://itun.es/i6Y94Lt Media on the Radio ON THE RADIO! Tune in every Thursday at 7pm to WERA.FM & listen live to the worldwide broadcast. Or if you live in the DC/Arlington VA area tune your radio dial to WERA 96.7 FM! Every Thursday at 7pm! This is the first in a series of episode on non-profit fundraising. Brigid from the ACLU puts the emphasis on being diligent & working hard over developing the 'perfect pitch.' She says the most important thing to do when meeting with donors is to listen. 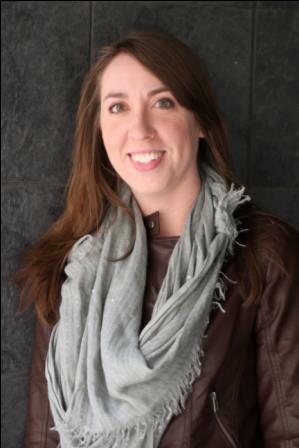 Lauren Knapp is a nonfiction storyteller who works across platforms to share true and compelling stories. She has been working in film, television, radio, and virtual reality since 2006 and her stories have been featured on the PBS NewsHour, PRI’s The World, The Atlantic, The New York Times, WQED, and The Allegheny Front. In 2011, she moved to Ulaanbaatar, Mongolia with the support of a Fulbright-mtvU Fellowship where she researched and produced “Live From UB” (2015), an award-winning feature length documentary on rock music and national identity among Mongolia’s urban youth. On the podcast, Lauren and I talk documentary filmmaking and distribution, learning and teaching filmmaking, and the challenge of finding a healthy work/life balance for creative artists/professionals. This is the fifth episode of the MOTR series featuring members of the co-working space called the Lookout DC. (lookoutdc.com) Subscribe to the PODCAST on iTunes: https://itun.es/i6Y94Lt Media on the Radio ON THE RADIO! Tune in every Thursday at 7pm to WERA.FM & listen live to the worldwide broadcast. Or if you live in the DC/Arlington VA area tune your radio dial to WERA 96.7 FM! Every Thursday at 7pm! Mark, an illustrator from in New York, has been crafting pictures and words to tell stories for over 30 years. 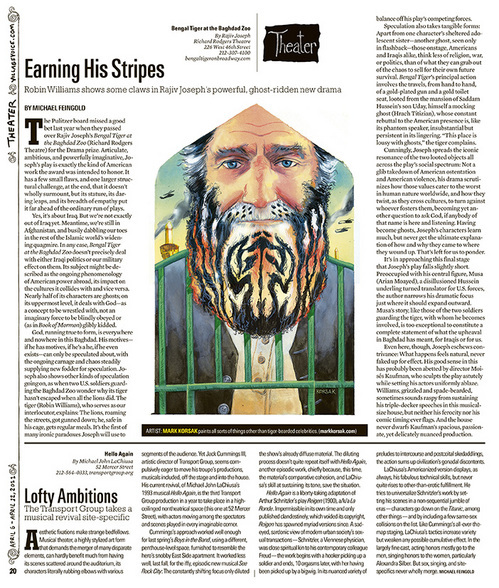 He continued to live there for years doing freelance illustration and design work for a variety of clients and uses (Sony, Warner Bros., Disney, The Wall Street Journal), as well as working for the Society of Illustrators Museum of American Illustration. 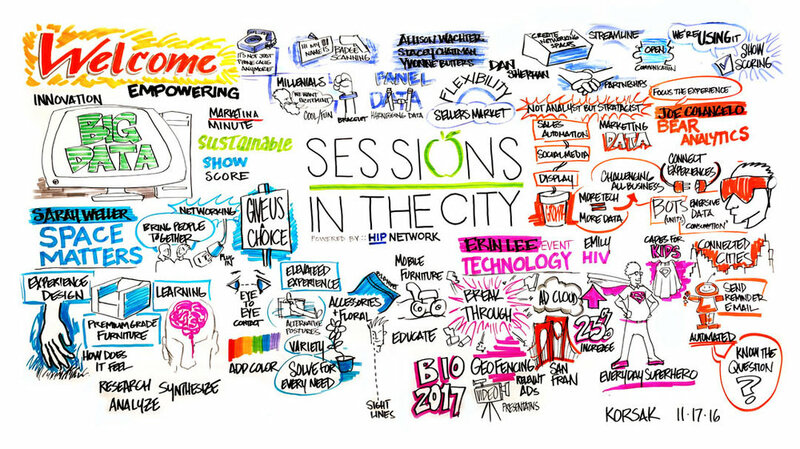 Shortly after a move to DC he was introduced to the world of Graphic Recording, a burgeoning industry that combines illustration, design, and storytelling.